So, in the near term, schools need to do both: to prepare kids for old-school expectations and new-world realities alike. And, I would argue, if we truly have our kids’ best interest at heart, we have to do that second part even though no one is asking us to. 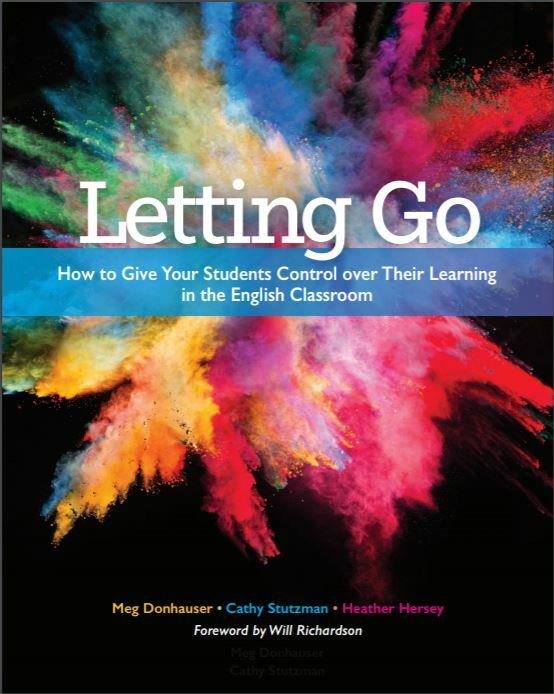 Though Meg and Cathy were asked to incorporate new technologies into their classrooms and to start experimenting with ideas like formative assessment, no one asked them to explode the notion of the English classroom by using the inquiry learning plan. They truly are doing what Will suggests by making sure that students are prepared traditionally while also pushing them toward more independent learning. Will also implores teachers to stop asking Google-able questions and “advance to open-network tests that measure not just if kids answer a question well, but how literate they are at discerning good information from bad and tapping into the experts and networks that can inform those answers.” The ILP does just that and goes beyond because students are asking their own questions and not those of others. They use a variety of sources including classmates to seek answers with the guidance of teachers and librarians to act as mentors. Will also shares six “unlearning/relearning ideas for educators.” The ILP meets many of these demands. For example, the ILP makes school “a place where students engage in deep inquiry on a regular basis, where they ask big, complex, difficult questions and then plan their own paths to answering them.” Students are asking their own questions and learning how to revise their learning plans as they go. They are designing their own activities and reflecting on their learning. Clearly, the ILP, and the philosophies upon which it is built, can help to create independent learners and thinkers.